Drone trading, buy and selling used drones and related drone equipment. 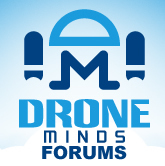 Advertise your drone stuff, you can also link to your eBay, Craigslist, Gumtree etc. DJI Phantom 3 Pro ++ Extras!